the biologist Francisco Varela made that his ideal. 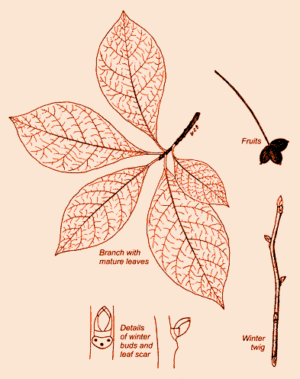 of Nature are created in the first person plural by humans? has become an artefact of society. Legacy: For plantings with an expected life span of more than 60 years; retained 50 percent or more climate suitability in models for the decade 2080. Not recommended for plantings with an expected life span of more than 35 years. We start the reading group with a breakthrough text of radical environmental law: Christopher Stone’s 1972 essay Should Trees Have Standing, which laid the legal foundations of the contemporary “rights of nature” discourse. 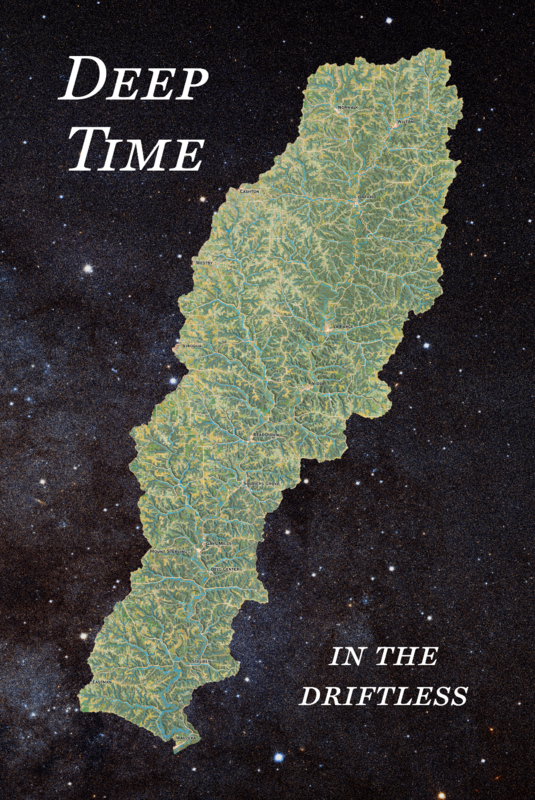 Alongside it we will read the first chapter of an extraordinary 2013 book by Eduardo Kohn, How Forests Think: Toward an Anthropology Beyond the Human. Drawing on his experiences with the Runa people of Upper Amazonian Ecuador, Kohn asks about a form of thought outside language, opening up the possibility of conversations with plants, animals and uncanny forest spirits. Are people the only ones who think? What if exactly that were our own parochial myth? How to find mind beyond speech? What kind of philosophy and what kind of society could admit the conscious ethical presence of non-human others? Short readings here and here. 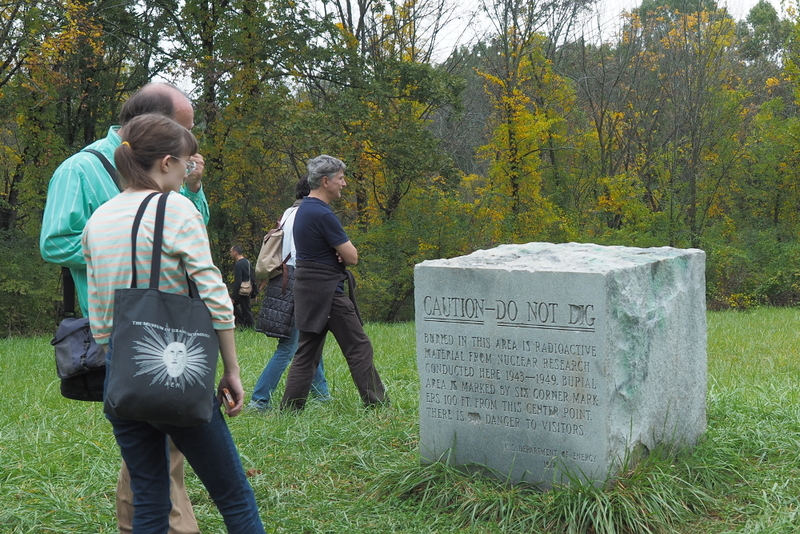 Artist Jeremy Bolen and theorist Brian Holmes will take us to the entombed and largely forgotten site of the first nuclear reactor, connected to the wartime “Metallurgical Laboratory” at the University of Chicago, which lies at the origins of today’s Argonne National Laboratory. The walk through the forest will include two readings, all senses, and a contemplative moment beneath the trees, talking about what’s beneath our feet. Two readings are proposed: the intro to Rob Nixon’s Slow Violence and Karen Barad’s What Is the Measure of Nothingness? 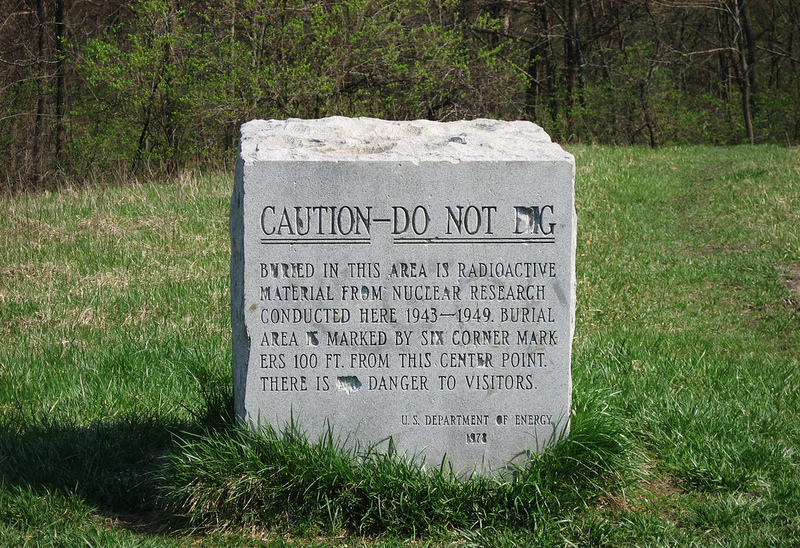 For some background on Site A, check this. 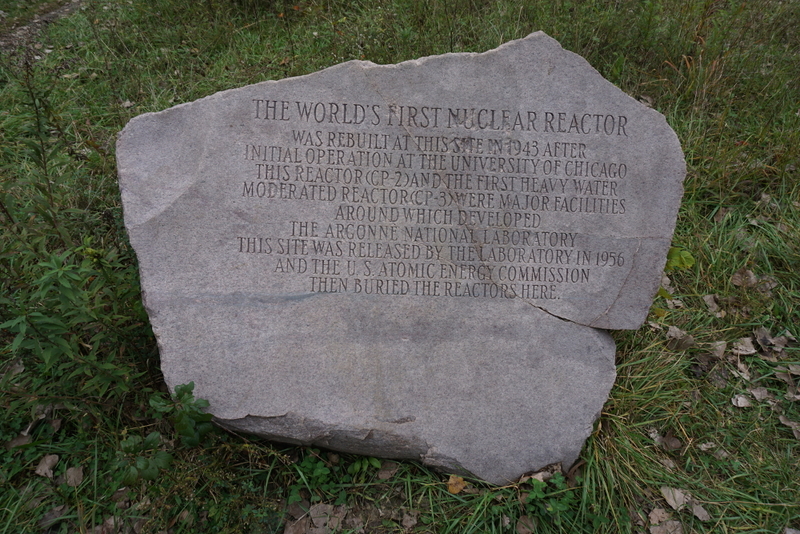 Another good one is Here Lies the World’s First Nuke (Chicago Reader). .Google map link here. We meet in the parking lot at 2 pm, rain or shine! Join us for an introduction to hands-on stewardship practices with Daniel Suarez and Michael Swierz of Habitat 2030. 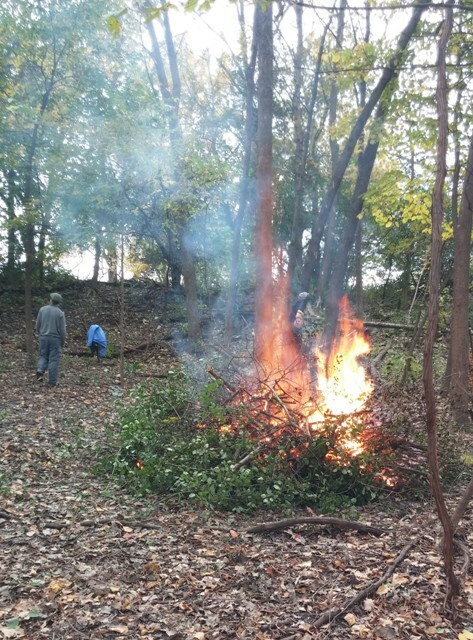 We will visit LaBagh Woods, learn about the ecological history of the area, cut and burn invasive buckthorn from a prairie renewal site and discuss the concepts of restoration and resilience next to the fire. The meeting point is at the Irene C. Hernandez Picnic Grove parking lot. Bring warm clothes, a snack and lots of curiosity. On controversies over restoration, check this article, and this one. For an approach to restoration via ecological memory, see this reading. On restoration as ritual, this reading. Is it a protest, a performance, or just a bare necessity? Meet on Federal Plaza at 12pm, or 11:30 if you want to find us in the crowd. Catch up when you can and look for the Deep Time banner. 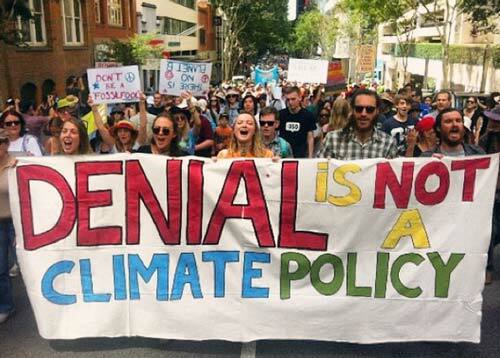 Cultural change in the Anthropocene just might begin in the streets! 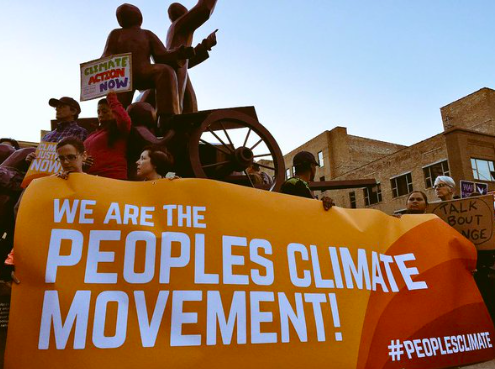 People’s Climate March website here. Maplink here. Come for a close-up look at the biggest Midwest destination for Tar Sands oil. 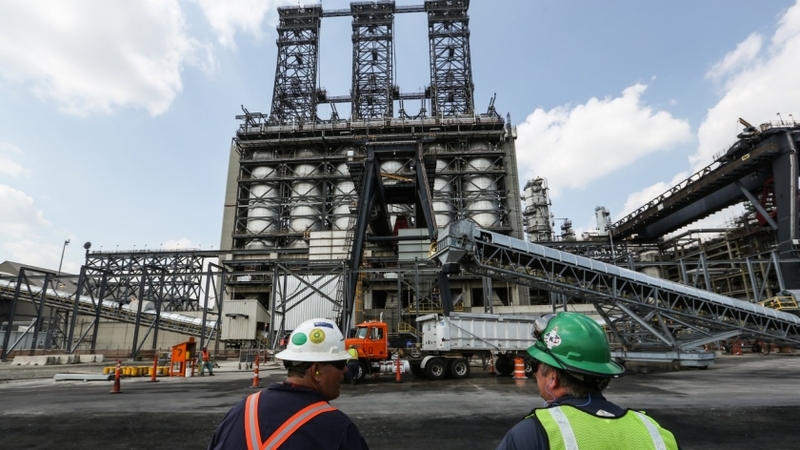 Artist, scholar, and environmental and climate justice activist Thomas Frank will lead us on a walk entirely around the BP Refinery in Whiting. Meet at 1 pm at Whiting Lakefront Park, right at the center of the series of parking lots along Park Road (maplink here). Related event: some other day you can also visit the Southeast Chicago version of the exhibition “Petcoke: Tracing Dirty Energy,” at SkyART, 3026 E. 91st Street, Chicago (maplink here). The show is open till May 30. 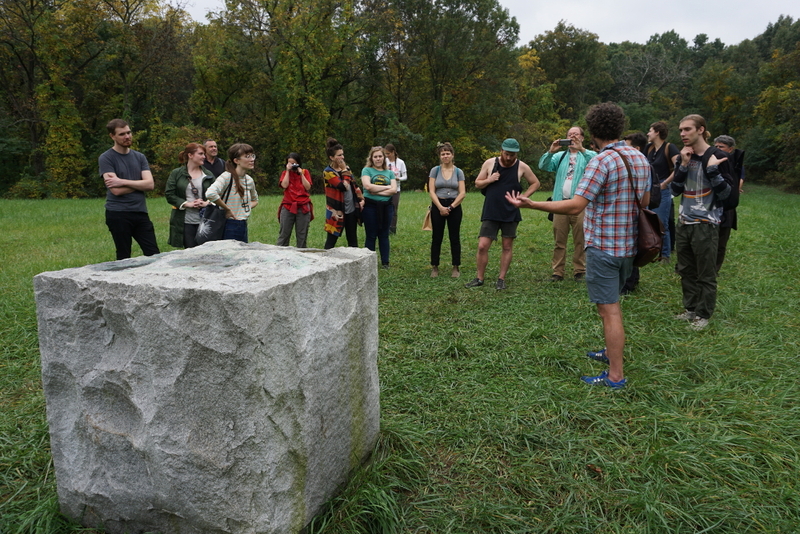 In summer of 2017, Deep Time Chicago was invited to the ACRE residency near Steuben, WI, to present thematic programming on many different aspects of the Anthropocene. 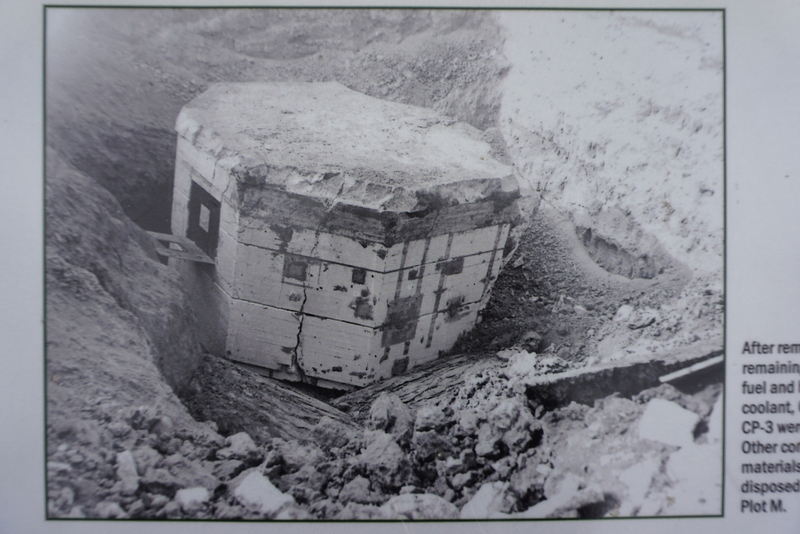 It was an experiment, for ACRE and for us. We closed our collective eyes and moved out into the night of the unknown. Without really knowing what was going on, everyone could feel everyone else responding. The experiment moved through different spaces: aesthetic, intellectual, geographical, interpersonal. By the end of the session, one thing was clear: artists are definitely ready to engage with climate change. Thanks to ACRE staff and residents for the hospitality! 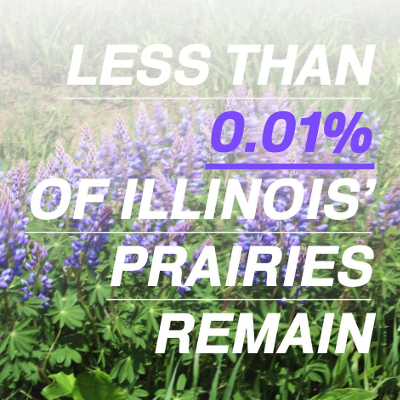 Illinois is called “The Prairie State,” but you may be shocked to learn that less than 0.01% of our prairies remain. The prairie restoration work at Midewin National Tallgrass Prairie will significantly add to the amount of prairie in Illinois. 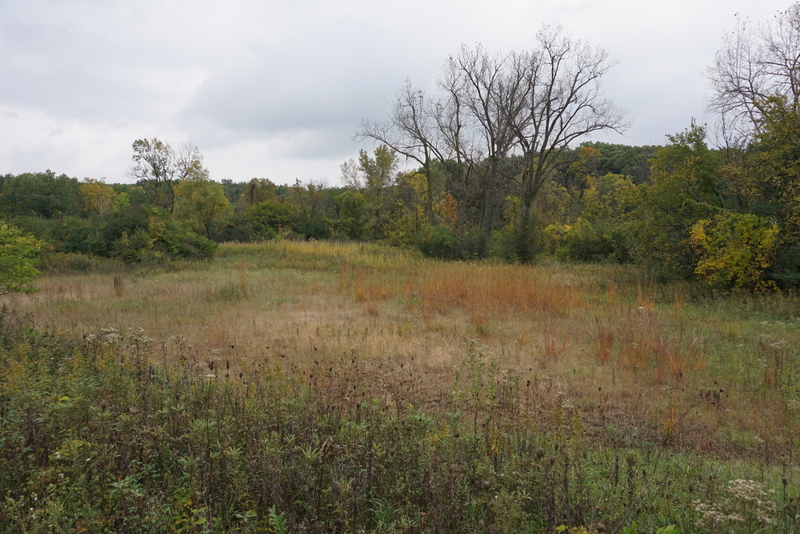 Midewin is the largest conservation site in the Chicago Wilderness region, and home to many rare prairie species. Upon completion it will be one of only a few areas large enough for visitors to get the feel of what the prairie landscape was like prior to the being converted to the industrial agriculture landscape we see today. Join Deep Time Chicago for a field trip to understand what we have lost, experience the prairie up close, and get a chance to give back to this special region. On our last visit we saw endangered plants, and watched a Northern Harrier hunt low over the fields. Ecologist Bill Glass will give us a special tour of the remarkable prairie ecosystem, including a sand prairie restoration. This sand ridge supports many colorful plants and insects, where we’ll lend a hand through seed-collecting in this interesting ecosystem. With a little luck we’ll be able to see the bison, one of the newer additions to Midewin. This is an opportunity to learn about the tallgrass prairie’s diverse ecosystem and how the Forest Service, partners and volunteers are restoring the land. We’ll meet at Midewin’s Welcome Center at 11:30am. Use the Google Map link here, as GPS may not be reliable. Plan to arrive on time, so we don’t keep the group waiting. Pack a lunch, bring water and sun protection, and appropriate clothing/footwear to be out in the field. Please RSVP and plan to arrange your own carpool for the hour plus drive from Chicago. Email if you need a ride or have seats to offer. Fuel-efficient vehicles especially appreciated. Join Deep Time Chicago alongside our friends from Studio Gang, who will give us an overview and tour of the architecture studio’s ecological restoration project, which lies just to the south of the Lincoln Park Zoo. This project, as most of the studio’s work, goes way beyond buildings, talking into account the deep entanglements of the built environment with the natural world. 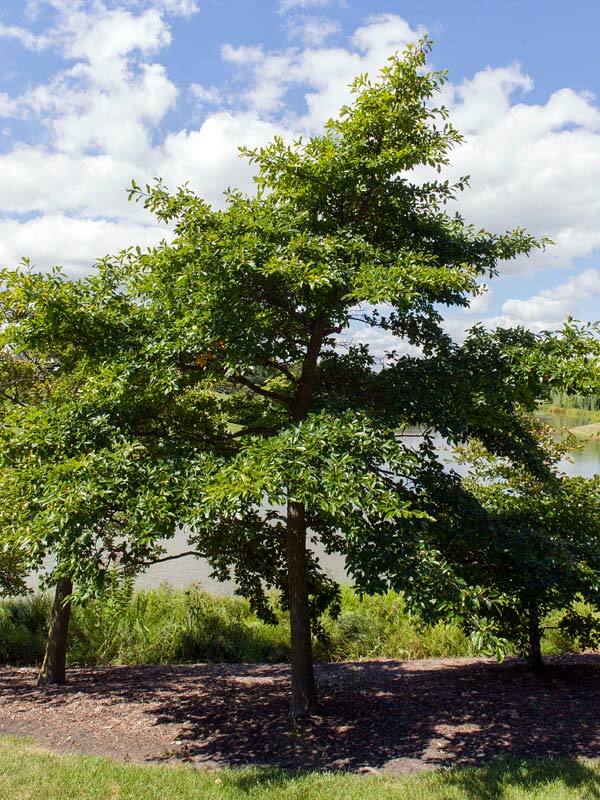 The work of Studio Gang has helped to bring this area ‘back to life,’ so that it now teems with diversity, and even hosts locally-endangered night herons during their breeding season. We’ll also be joined by Seth Magle and Jazmin Rios from the Urban Wildlife Institute, who will help us understand the web of life now thriving in this special city park and introduce us to to some of the many species with which we share this space. Bring water and sun protection… and snacks if you’re so inclined. We’ll meet under the Studio Gang pavilion, which is the beautiful ‘bubbled’ structure easily visible when you arrive at the South Pond.